In fact, if you follow one common pattern for ultrarunners who like to race only when they are prepared to give a top performance, you might be training for three or four or even six months before you run your target race. That’s somewhere north of one hundred days spent training for a single day of racing. Even if you run a lot of races and don’t worry about always giving your best performance, you’ll still spend the lion’s share of your time training for a race rather than actually being in a race. Race day is like the icing on the cake; training is the rest of the cake and the whole meal that came before it as far as where you put most of your running time and energy. Since you spend so much time training, you don’t want it to seem like a burden, a chore or something you’re constantly trying to find excuses to not do. You want training to be rewarding and stimulating, something to enjoy and even cherish. Think of Rocky Balboa in Sylvester Stallone’s classic movie, Rocky. The training sequence where Rocky is shown growing and transforming himself into a new person is the heart of the film. He glories in the training and then celebrates it in that climactic run up the steps of the Philadelphia Museum of Art. Try to follow Rocky’s example in his attitude toward training. Keep your training fresh and stimulating by mixing it up. Get out on some new routes. Run your standard route backwards or alter it to take in new trails or roads. Cycle through several training techniques. Make one run a tempo run, the next hill work, the next intervals, and the next fartlek. Throw in some cross training as well. Find new areas for your long runs so you’re seeing new things, exploring and discovering new places. Add interest to the whole long run process by trying out new types of food and drink. Try out new equipment, new clothes, new shoes, new skin lubricants, sunscreen, insect spray, socks, head gear, hydration packs and hiking poles. Better yet jump into a race and really get a feel for your fitness level and acid test all those new products by seeing how they hold up in a race. Don’t worry so much about your finish time. Treat the race like a big training effort and enjoy the other runners and all the hoopla that surrounds an organized event. 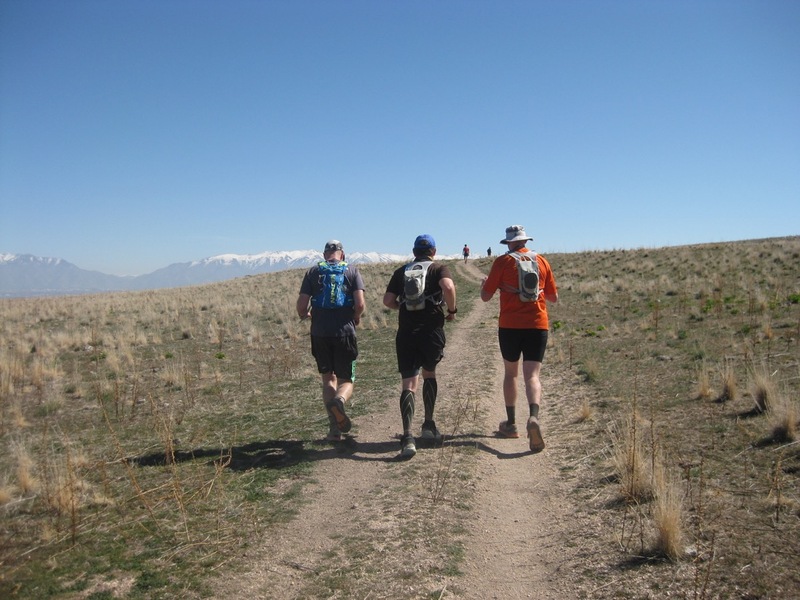 Train with other runners. During all those training hours, you can really connect with your running buddies and become fast friends. Put your focus on them and the running will tend to take care of itself. Be aware that when you’re training and running, your life, at least part of it, is in the process of happening. And this is a part of your life where you’re doing something really positive. You’re cultivating your resilience, you’re getting healthy, you’re learning discipline and you’re becoming a better person in many respects. Pay attention to your mental game, not just the physical aspects of running. There’s a world of interesting things going on in your head when you run. And don’t let a workout go by without pausing to think how lucky you are to be out there and what a gift it is to be able to run and to experience the wonderful fresh air/cold/rain/heat/ mist/wind/sun/sleet/snow/breeze, while other poor souls have opted to sit on their couches and binge watch Game of Thrones. Moreover, think how phenomenal it is that you have running an ultra as your goal, to have the health and to be living a life that allows you to go after such a momentous prize. Take stock while you’re out there training. Appreciate every moment, even the unpleasant moments that you are training yourself to endure and overcome. This is your time on Earth, if you didn’t notice, and strangely you have chosen to spend it running. Think about that decision and what it means for you. When you’re racing, your mind tends to focus on the effort and on the finishing. But when you’re training, your mind is much more free to wander and to become aware of something that Joseph Campbell thinks we are all seeking in life, the rapture of being alive. Really good read, Gary! Thanks for putting pen to paper.